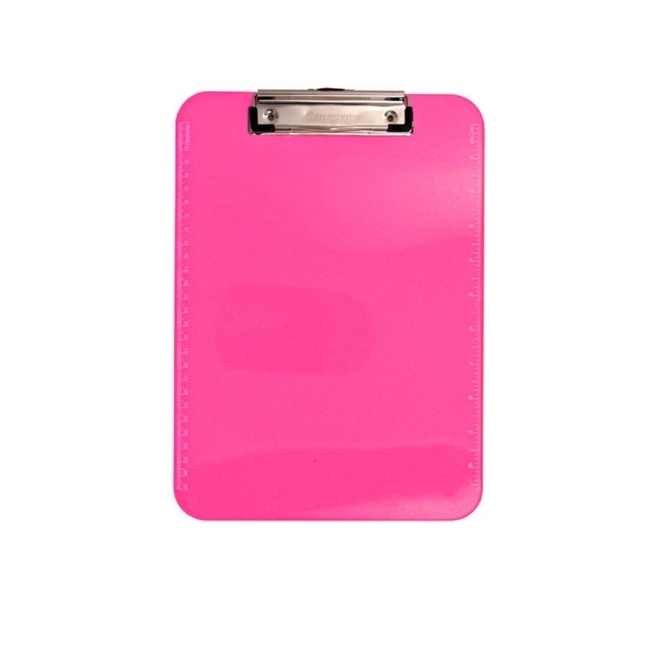 Clipboard offers a durable 1/8" thick molded plastic. The lower profile, spring clip features rubber corners. Easily fits into briefcase, backpack or sportsbag. Holds up to 1/2" paper.